One of the questions I hear every year at this time is “when do I apply crabgrass preventer to my lawn?” The proper timing for application of crabgrass preventer is related more to temperature and weather than the calendar. Crabgrass is a low growing invasive annual weed. Because it is an annual, and grows from seed each year, the best way to control crabgrass is to us a pre-emergent herbicide to prevent the seed from germinating. When the temperature of the soil reaches 55 to 60 degrees for several consecutive days, crabgrass seeds begin to germinate. The timing on this can vary widely from year to year and from place to place within your own lawn. So how does one know when exactly to apply pre-emergent? Well, the most accurate method is to actually “take your lawn’s temperature”, every couple of days, using an instant read probe-type thermometer. But really now, who wants to do that? 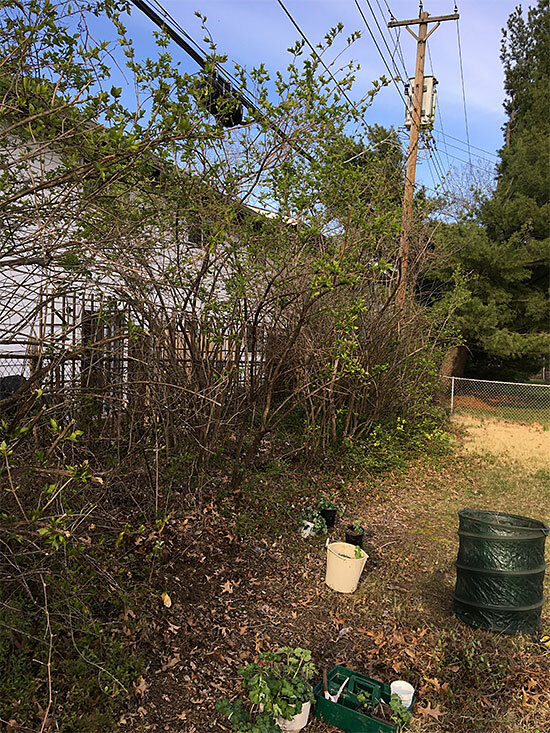 Another perfectly reasonable method is to watch for the forsythia shrubs (pictured) to bloom. If you time your pre-emergent application to this harbinger of spring you will almost always be well ahead of crabgrass germination. The crabgrass preventers we sell at Schnarr’s will prevent crabgrass and other annual weeds from germinating, and can remain active in the soil for an entire season. A word or two of caution, if you are seeding your lawn, or you seeded late last fall, most crabgrass preventers will keep grass seed from germinating and damage young grass plants. If this is the case, let us know when you come by to pick up your pre-emergent and we’ll provide a product that can be used when seeding. Fall is normally a good time to work in the garden. The weather is cooler than normal which is easier to work in but forecasts call for warmer weather to return for awhile. We keep getting predictions for rain which so far has not come. Warm water temperatures have made this year’s hurricane season especially bad in the South and some of those folks have suffered from too much water. Many plants in the St. Louis area are suffering from lack of moisture though some spots have been lucky with rain. The ground is generally very dry. There is more work that could be done right now if it was not so dry. For example, lawn care. Normally this is the best time to seed a lawn. This year even irrigated lawns are struggling because the ground is so hard and compacted. The water cost of irrigating a lawn is a problem too. If you decide to plant, thatch, aerate, feed and seed. Get the seed 1/4 inch 1/2 deep in the soil by raking. If you wait too late to seed the cold could slow down germination. The normal window is 45 days starting around September 1st but can be extended when the weather is warmer than normal. A lot of zoysia lawns are suffering this year from excessive thatch. It’s important to to remove thatch periodically to avoid problems. Excessive thatch can kill your grass and necessitate starting over with a new planting. Most ornamental plants in our lawns and gardens are shallow rooted. Check your irrigation system to see if it’s watering the right areas and make sure you are not wasting water with your system or hoses. How can you tell if you are wasting water? Is anything broken or leaking? Are all your fittings tight? If you’re not sure if your irrigation system is set correctly, have a meeting with the company that installed it to check exactly what is being watered. Make sure you are making the best of what water you do have. When is a good time to water? Morning is the best, but if you don’t have a choice try not to irrigate after 7 pm. If you have an automatic system or timers, try a 3:30 am – 5:30 am regimen – I have had success with that schedule. If you can’t water at the ideal time, don’t skip it because the plants need it. You may find that your lawn and plants need daily watering for 20 minutes per session. Depending on your conditions 40 minutes every other day works for some. Cool the water from your hose before putting on plants so you don’t scald them. This is also a good time to prune and feed perennials. If your perennials don’t look good they will probably perk up when it gets more moist. Normally this a good time to divide perennials but this year I would hold off as long as it stays dry. Trees and shrubs are not easy to keep alive in dry fall conditions. October is better for planting when September is very dry. Perennial flowers can be planted now. They will need daily watering for 10-14 days to get established. Container plantings are doing well now as long as they get watered. We are probably going to lose a lot of mature trees to drought this year. A wet spring followed by drought is very hard on plants. The best preventative is selection so there may not be much you can do now. If you have a valuable tree that is important to you with unusual symptoms have an arborist take a look at it. The Metropolitan Sewer District has been working hard on outreach to inform the public about Project Clear. In their own words, Project Clear is the “planning, design and construction of MSD’s initiative to improve water quality and alleviate many wastewater concerns in the St. Louis region.” MSD operates in both St. Louis City and County. What are some examples of wastewater concerns in our region? Flooding, erosion, water pollution and sewer backups are some issues that affect many of our neighbors if not ourselves. MSD deals with both stormwater, which is intended to discharge directly into the natural environment, and wastewater, which needs to be treated at a wastewater treatment plant before release. MSD is undertaking large scale projects right now that are estimated to take 23 years to complete. The first sewers in the St. Louis region were built in the 1850s. The amount of development present now is of course much greater than then and there are a lot more impermeable surfaces generating runoff. The existing system cannot cope with the demands being placed on it. MSD conducted a pilot program to test the effects of green infrastructure and came to the conclusion that the conversion of 400 acres from impermeable to permeable surfaces is equal to a 2 billion dollar savings in spending on wastewater infrastructure. Greenscaping has many other benefits – more oxygen, more pleasant and healthful surroundings, crime reduction, noise abatement, habitat for wildlife, temperature regulation – the benefits go way beyond just financial. MSD is requesting help from the public with the wastewater issues they are working on. It’s in all of our best interests to do what we can to assist because the MSD projects are going to take decades to complete. Even if our own property is properly insured against damage, we will pay for water damage all over the region one way or the other in fees and taxes. In addition, cleaning up after a water disaster is no fun. It’s stinky, messy and time-consuming. Some water management challenges are inevitable because of the geography and geology of where we live, but we all have the power to mitigate these problems by a small amount. If we each do a little bit we can help each other save money. What can we as individuals do to prevent erosion, flooding, water pollution and sewer backups? on wastewater lines and prevents sewer backups. I suspect some of the downspouts at my condo are hooked up wrong and I know my neighbor whose unit is lower in elevation than mine has had a sewer backup before – so I find what MSD is saying about this credible. Utilize rainscaping improvements on your property such as making surfaces water-permeable and protecting erosion-prone areas. There are rainscaping small grants available for residents in certain areas. Rainscaping has many benefits – prevents flood damage and erosion, improves water quality and recharges underground aquifers. Explore opportunities to re-use some of your gray water. This may also cut your costs because in some places you are charged for how much water goes out of your household through the sewers as well as for how much comes in – my understanding is that’s the case where I live. My water bill is included in my condo fee so I don’t see it but that’s what I’ve been told. Don’t use the sink or toilet to dispose of garbage. Use compost as much as you can in your landscape – compost absorbs water and slows velocity. 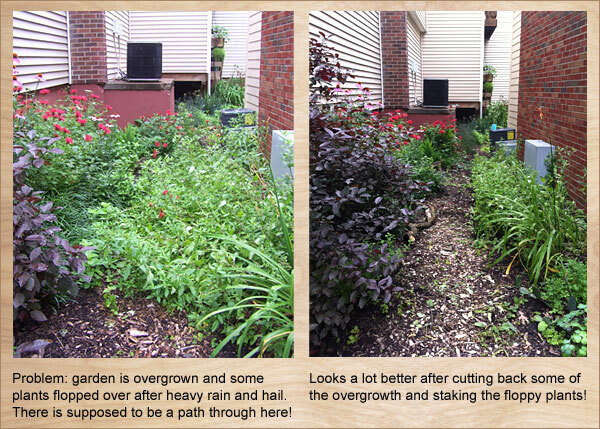 Join a grass-roots effort to encourage the adoption of greenscaping and rainscaping practices. River Des Peres Watershed Coalition, and others. Join a volunteer storm drain marking project. Now is a good time to go after cool season weeds in your beds, mainly Henbit and Chickweed. These weeds can take over bare spots of ground. In the warm season, these weeds will die then reappear in the fall. You can remove weeds by mechanical means such as a garden hoe, or use a chemical. Non-chemical treatments of weeds can work but sometimes are not practical considering the labor needed to treat the area affected. 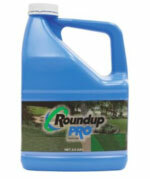 I recommend Roundup Pro because it includes a surfactant that helps the herbicide stick to the weed. You can mix an herbicide using Dawn as surfactant also. 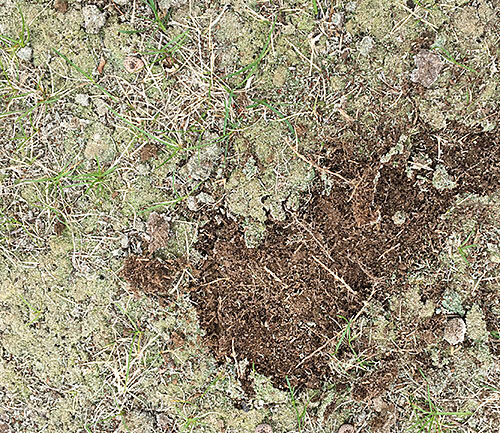 Moles in your lawn are slowed down by pre-emergent herbicides and fertilizer. They don’t like the smell and the chemical odors will deter their mating for awhile. Moles have a very keen sense of smell. For a more permanent mole solution I recommend spring-loaded mole traps. 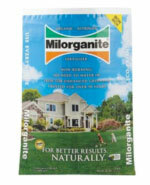 Milorganite fertilizer has a bonus effect – the smell repels rabbits and deer for awhile. You can probably reseed lawns earlier than normal this year but it’s still a little early. Wait until the ground temperature is 50 degrees or above through the night. If you have no choice but to seed now, use a rye grass. If you have used any pre-emergent herbicide, wait three weeks to seed or your seed may not come up. The intermittent warm temperatures may tempt you to accelerate some spring tasks but you still have to be vigilant about the possibility of more freezing temperatures. Keep an eye out for plants that did not survive the dry winter or have salt damage. February wasn’t normal and all rules changed compared to a typical February. We also don’t know how the rest of the late winter season is going to play out. Frost in March is a possibility. Now we’re on the chase. More warmer weather is coming. Everything is pushed ahead for professionals and homeowners. This February we could have fertilized and applied pre-emergent herbicide to our yards because of the atypical ground temperature. If you didn’t apply in February apply in March as usual and you’ll be fine. Grass will probably need cutting in March. All the nurseries that grow plants in the ground are digging out everything they can because many plants are leafing out and blooming early. Magnolias and Forsythias will be ok because they will be finished blooming before cold weather starts. Plants that are sensitive and need protection from frost may include lilacs, roses, Japanese maples, privet and fruit trees. If we do have a frost talk to a landscape garden service about how and when to prune back. We have to think ahead. Sensitive plants have to be protected. 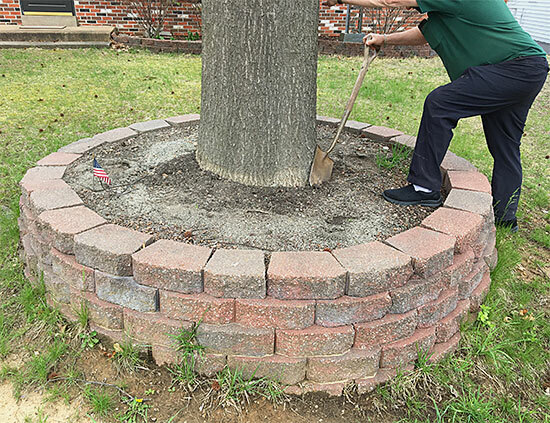 There are many tasks that need to be performed in the yard and garden at this time. If you mow your own lawn, give your mower a spring tune up. Get blades sharpened, change oil, check for mechanical problems and check that your blade is set at the right height for the type of grass you have. If your turf has too much acid apply lime to correct the PH. If your PH is too high (too alkaline) and your soil is compacted, add some gypsum. Gypsum will also combat the effects of salinity and sodicity in the soil that may occur due to irrigation and the use of ice melting products. Gypsum reduces soil crusting and aids water penetration into the soil. Scale in trees appear this month and they are crawling. Now is a good time to use dormant spray/horticultural oil if you need to control them. Dormant spray/horticultural oil is a product that does not discriminate between beneficial and non beneficial invertebrates, so it’s best to apply it for scale when other invertebrates are not yet active. February is a good time to prune trees, shrubs and perennials, especially fruit trees. Some evergreens are not yet ready for pruning. Prune pines, holly and spruces now. Wait another month to prune boxwoods and yews. 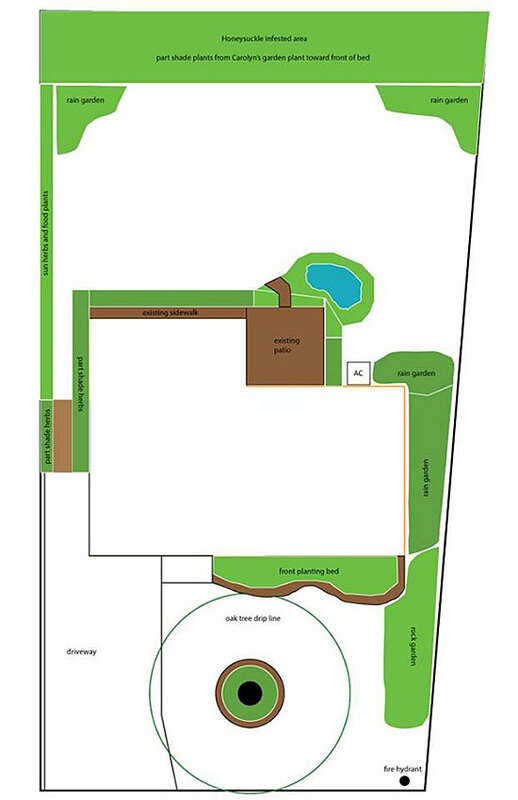 Take a look at your lawn and planting beds. 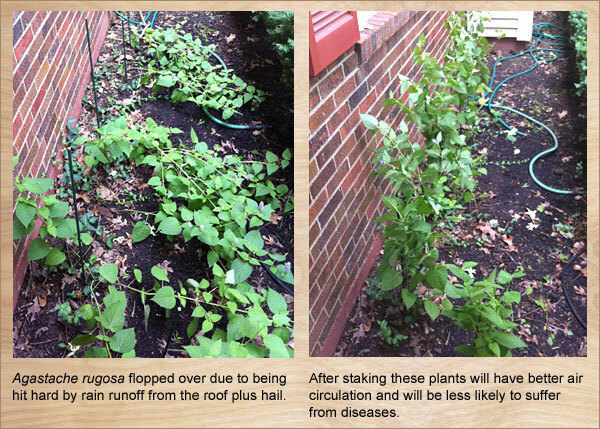 Unwanted woody plants can be a problem. Look for invasives such as Mulberry and Honeysuckle. If you can identify them without their leaves, pull or dig them as soon as you can. If you can’t pull or dig the unwanted woody plant out, cut off as much of the stem as you can and dab an herbicide product onto the end of the stub. You can apply the herbicide with a paintbrush or bingo markers. For safety wear gloves and use eye protection while applying. Ferti-lome Brush Killer Stump Killer is a product sold at Schnarr’s that would be suitable. It’s drier than normal for this time of year, so water your evergreens now. Are Starlings Taking Over Your Bird Feeders? European starlings. Image by Richard Crossley. I was eating dinner outside in downtown St. Louis recently and observed a large flock of European Starlings (Sturnus vulgaris), known as a murmuration, select a group of trees in a nearby park for their nightly roosting spot. This is the time of year that Starlings finish raising their families and start living a more communal lifestyle, which will persist until the next spring breeding season. A popular topic with customers at the store last winter was how to keep flocks of Starlings from eating all the food put out for the other backyard birds. This is a problem I WISH I had – I know that sounds strange. Starlings are my favorite bird, because I rescued a nestling nearly six years ago and raised her and adopted another one two years later. My Starlings Attila and Pooky are my beloved pets (as I’m writing this I have one my arm and one on my shoulder) and because of them I’ve done lot of reading about Starlings. I like to observe wild ones whenever I get the chance to see how their behavior and vocalizations are like or unlike my tame pair. Unfortunately if a flock of Starlings descends in my yard, if I go to the window to watch them they immediately take off. So that is my first idea about how to keep Starlings away from your feeders – try putting the feeders within view of a window where there is human activity. Some birds are more tolerant of people, for example on my deck Carolina Wrens, Robins and Song Sparrows will not only tolerate me looking at them through the window but will sometimes accept my presence with them on the deck as well. Another idea is to serve food that Starlings don’t like – that is difficult to do, since they eat almost anything. They cannot open the shells of sunflower seeds, so you might try feeding sunflower seeds with the shells on. Another tactic I’ve seen recommended on other web sites is to remove perches on your feeders so that other birds can access the seeds but Starlings cannot because they say Starlings need a perch. Based on my own observations, I’m skeptical about this, but who knows, it might work on small feeders. I’ve seen Starlings cling to surfaces with no perch just fine, they even spread their short tails out like a woodpecker does to use as a prop, but the absence of a perch on a small tube feeder where there is not enough room to prop the tail might deter them. Another idea is to smear suet on a pine cone and hang it, allowing small clinging birds to access the suet but making it difficult for the Starlings. Others recommend putting wire mesh around the feeder that allows small birds in but excludes Starlings. That should work but of course will exclude all larger birds. A squirrel baffle over a feeder is said to deter Starlings because they don’t like going under a cover. This I can believe – my two Starlings hate it when I pass a hand or arm over them, so I try not to do that. I also don’t cover their cage at night because it frightens them. They are also said not to like feeding while hanging upside down, so any feeder that makes the bird feed this way will probably not be attractive to them. If you like Starlings but just wish they would give the other birds a chance too, you might also try providing a separate feeding area that appeals to Starlings more than other birds. A platform feeder stocked with cat food is perfect for Starlings. You could augment the cat food with vegetable and culinary herb scraps left over from your cooking if you have any, my two Starlings love vegetables, greens and herbs, both cooked and raw. Just leave out the avocados, onions and garlic – they are toxic to birds. 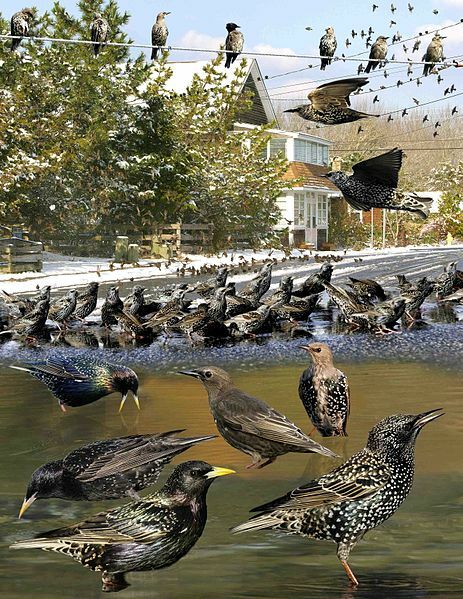 There is a risk in this strategy, Starling flocks can be big enough to take over ALL the feeders if they are in the area – also you’ll get other animals – but it might be worth trying as a temporary measure to give your other backyard birds a break. If this type of feeder accidentally attracts crows and ravens, that can be a good thing, they will help drive off predatory hawks and falcons with their mobbing behavior. You don’t have to rely only on feeders to attract birds. I’m not allowed to put out bird food where I live, so I provide a water feature that gives the birds filtered, and in the winter heated water for drinking and bathing. This attracts quite a few birds. I also have a lot of bird-attracting plants in my garden and when I’m able I leave the seed-heads standing all winter to provide food. Rose of Sharon, Purple Coneflower and Korean Hyssop seem to be particularly attractive to small birds such as finches. Woody plants like the Rose of Sharon will support the Starlings’ weight while feeding but many of the herbaceous plants won’t so the smaller birds can get a good chance at the seed. Starlings are imported to our continent – a greater proportion of native plants in your yard may bring an increase in native birds to give the starlings some competition. Areas of leaf litter also attract birds for invertebrate foraging – this is worth trying if you have an area of your yard that you don’t mind leaving in a more natural state. You can even include a dust bath area if you want to, since Starlings adore water baths and some other birds would rather have a dust bath. Starlings have been doing what they do for 20 million years, and stopping them will not be easy. If it makes you feel any better, the fact that there are Starlings in the vicinity means that you will have fewer lawn grubs, tent caterpillars, Japanese beetles, stink bugs and other insect pests. Starlings are perfect eating machines for lawn grubs – their beaks have more force in the opening than the closing, and are suited for prying in the dirt and grass and exposing invertebrate prey – watch this great video to see this action from an insect’s point of view! Help! I’m Being Predated by a Starling! It might prove more productive to enjoy Starlings rather than try to fight them. Whichever way you want to go, it’s helpful to understand more about them. I recommend the following resources for learning more about Starlings. Baby Bird Rescue 2014 – My attempt to save starling nestlings, and an account of how I developed an interest in starlings.